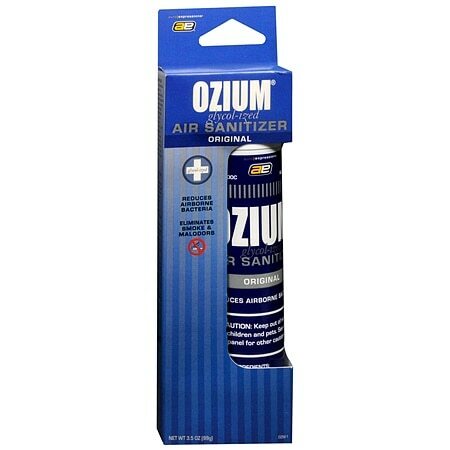 It is clinically proven to eliminate odors, unlike current products that just mask odors. Combats airborne contaminants and eliminates odors with glycol-ized action...dispensing micron sized particles that linger in the air, attach to airborne bacteria and malodors to drastically reduce air pollution, purify and sanitize the air. HAZARDS TO HUMAN AND DOMESTIC ANIMALS. Avoid inhalation of spray mist. Avoid contact with eyes, skin or clothing. Wash thoroughly with soap and water after handling and before eating, drinking, chewing gum, or tobacco. Keep out of reach of children and pets. FIRST AID IF IN EYES: Hold eye open and rinse slowly and gently with water for 15-20 minutes. Remove contact lenses; if present, after the first 5 minutes, then continue rinsing eye. Call a poison control center or doctor for treatment advice. For Health Emergency: (877) 276-7283. PHYSICAL OR CHEMICAL HAZARDS: EXTREMELY FLAMMABLE. Not to be refilled. Wrap in newspaper and put in trash. DO NOT PUNCTURE OR INCINERATE..